We are preparing the Event for upcoming Halloween. 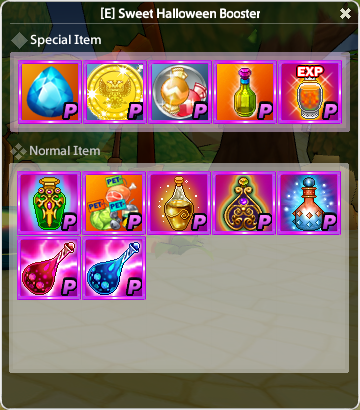 [Event 01] Candy, Candy, Halloween Candy! ① You can obtain Halloween Candy through various routes! Please refer to the below for the detail routes. 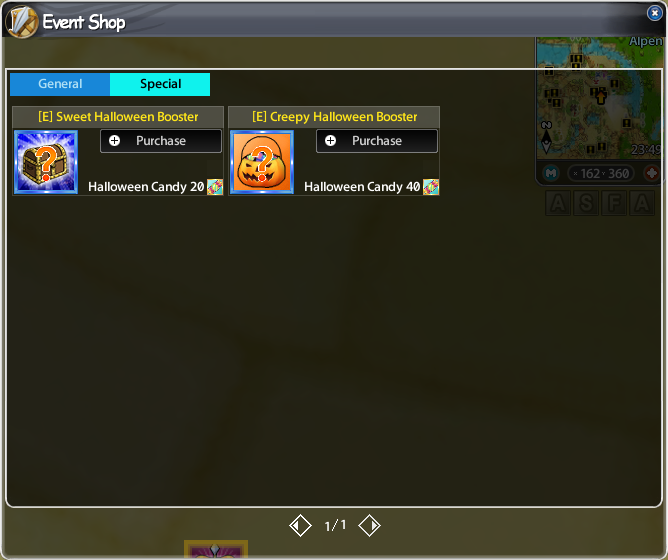 - You can obtain 5 candies by opening the Halloween attendance package through Alpen's Event NPC LaLa. - You can obtain the Halloween Candy in the mailbox every hour on the server time basis. - If you dig, you can obtain the Halloween Candy by chance anywhere. - If you fish, you can obtain the Halloween Candy by chance anywhere. 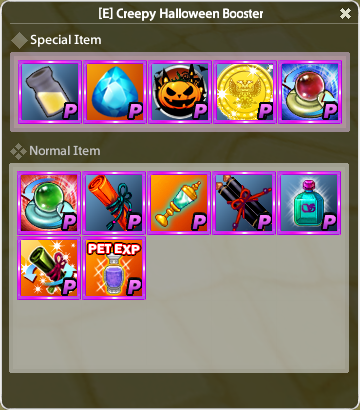 [Event 02] Halloween Gold Rush! - During the Halloween Event period, there will be a double gold buff from 3 AM to 4 AM every day. - You can get the Titles by paying the Tokens to Ella! - You can obtain 80 Title Points when getting the 'Sweet' Title. - You can obtain 150 Title Points when getting the 'Creepy' Title. - You can obtain the 'Trick Or Treat' Title automatically when getting other 2 event titles. - The 'Trick Or Treat' Title's grade is Legend. And If you get this title, you can obtain 200 Title Points! !